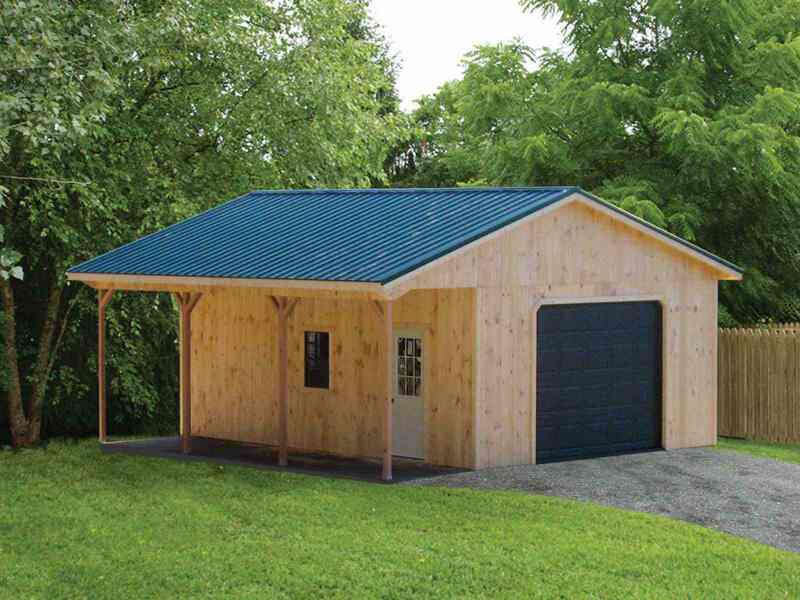 This handsome and architecturally pleasing set of garage designs are more than just another pretty building. 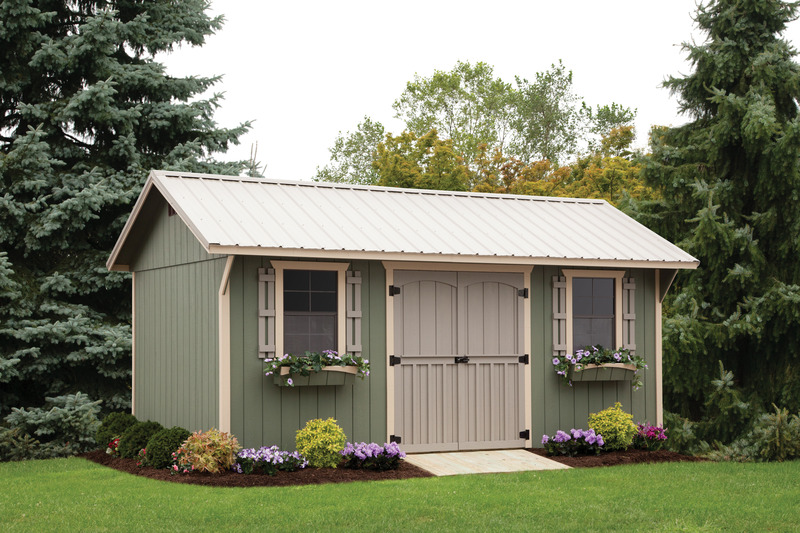 Our Amish Garage series is designed to never let you down, and last for the long-haul. 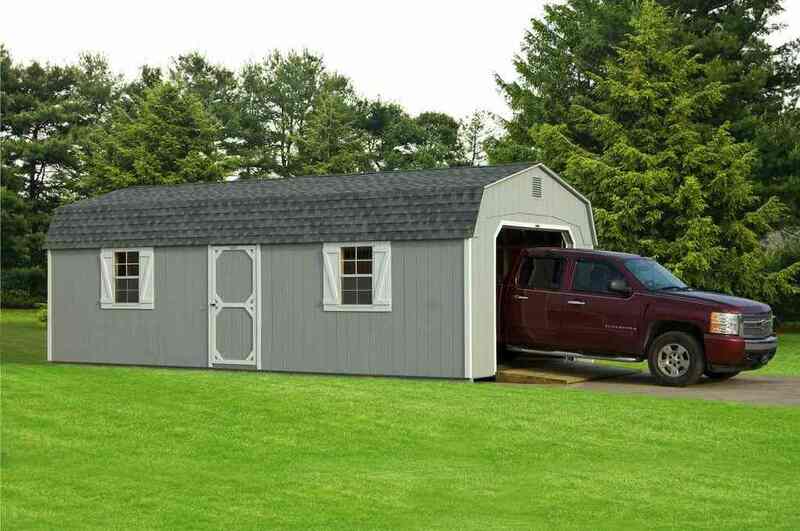 If you have a hobby, or are an auto or motorcycle enthusiast, you’ll appreciate the available wall space and abundant loft space overhead due to the roof pitch design on all of our garage models. 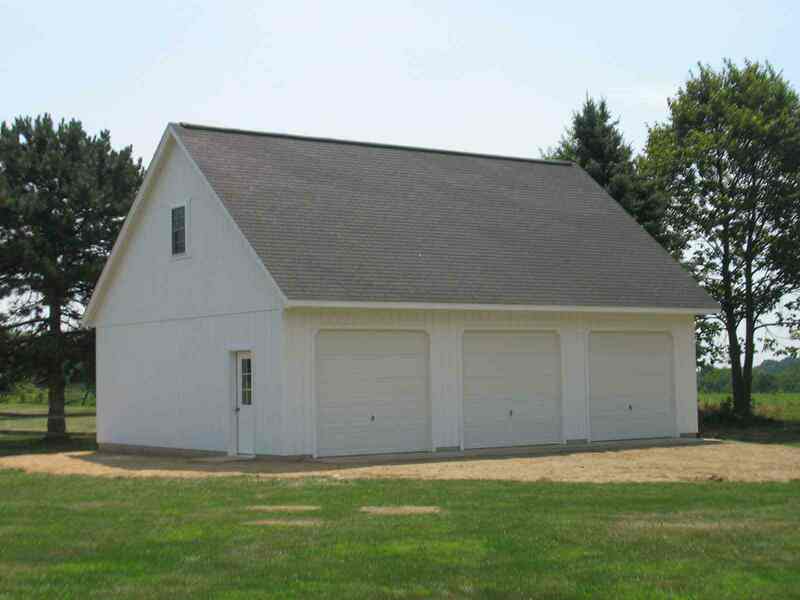 We offer many custom options to make your garage fit perfectly. Add sky lights or transom lights to allow in natural light. Add in double doors on the side for separate access to the motorcycle. Just give us your ideas, and we’ll build it! Dimensional Shingles $0.70 sq. 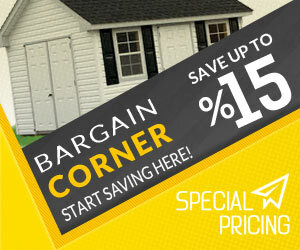 ft.
Ridge Vents $5.25 per ft.
Soffit Vent $1.15 per ft.
Tar Paper $0.30 sq. ft.
6 Pitch Roof $0.76 per sq. 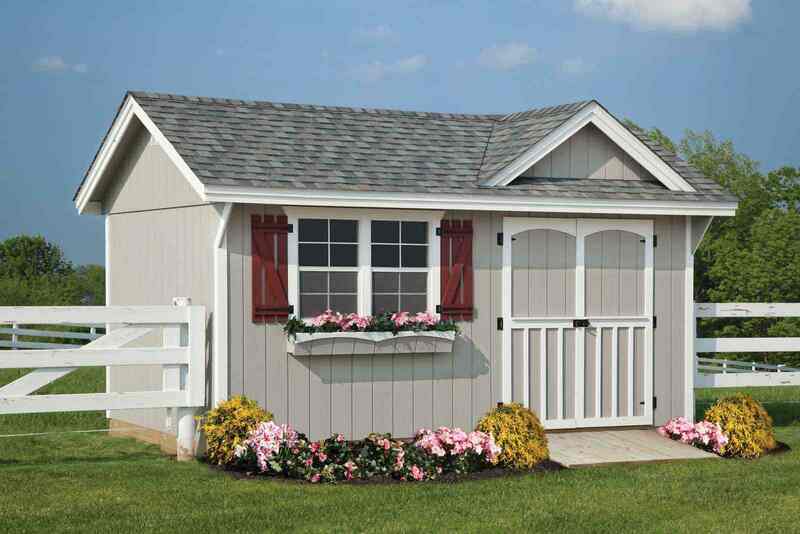 ft.
8′ Side Wall Barns $16 sq. 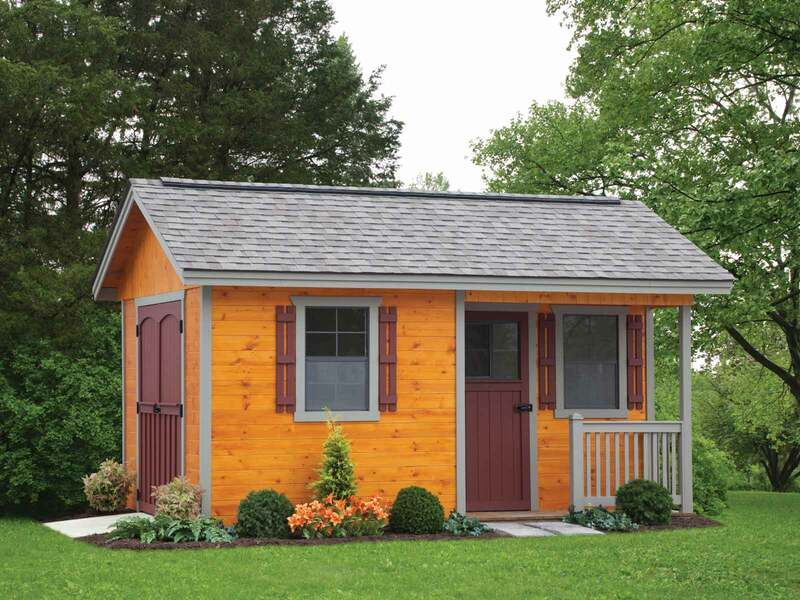 ft.
Porch for Carriage House $16 sq. ft. Shelves ~ 15″ Deep $3.15 ft.